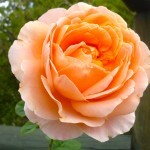 Hello all – welcome to autumn here in Australia where there are all kinds of activities and festivals to enjoy. 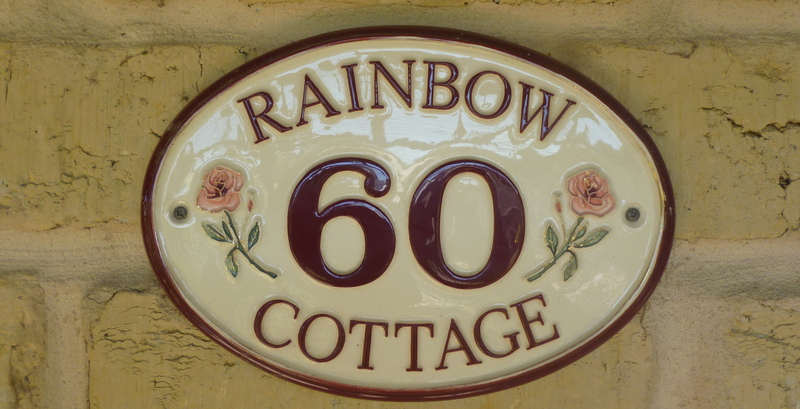 Ken is continuing his quest to make as many short movies as possible so has planned a calendar of events that we can both attend which will provide him with colourful subject matter. There really are so many opportunities and ideas for projects to pursue now that we are retired. 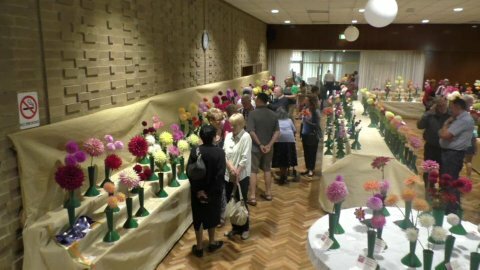 One of the exhibitors was Country Dahlias from Winchelsea near Geelong. If you live near Melbourne it is possible to visit their 2 acre dahlia garden and wander around at your leisure. They are hosting a festival on the weekend of March 21st/22nd which sounds good. Unfortunately their brochure does not give a web site and I haven’t been able to find one, though they are mentioned on the net under plant nurseries. If you live in other States of Australia, search out the events calendar for your area. Conversely, if you live in the Northern Hemisphere, you will just be starting to think of planting out your tubers. 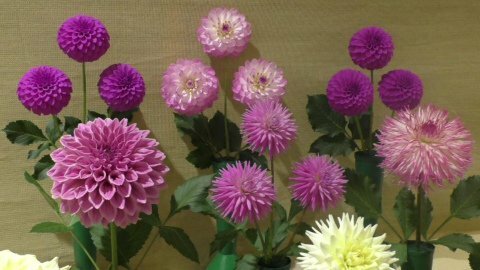 I remember with nostalgia how my father loved his dahlias; he grew those ones with the huge heads. 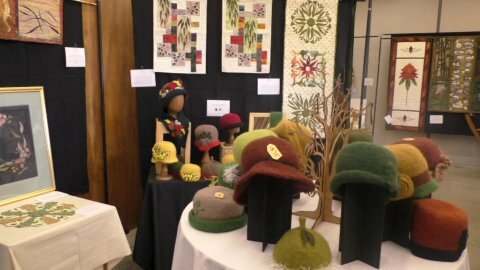 I was so inspired by the felt hat display and came home full of enthusiasm for making one for myself. However, I was a little sobered by the process when I checked out some YouTube tutorials. I am undaunted and think I will pursue the idea. It could be a good project for the winter months. I will keep you posted. The quilts must have taken hours of work. I have never attempted one myself though my daughter made one some years ago. I am sure if you want a really absorbing pastime, quilt making would fill the bill. 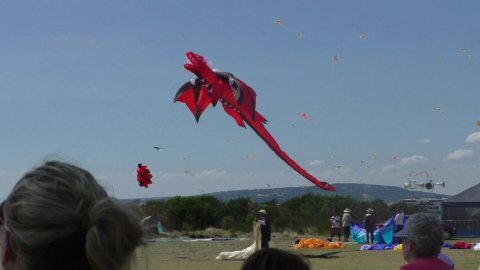 I didn’t realise there was still so much interest in kites. Ken says he remembers, as a boy, making a kite from split bamboo canes to required shape, putting cotton around the outside, then laying on tissue paper and sticking to the outside string after which he attached a tail and more string to pull it into the air. 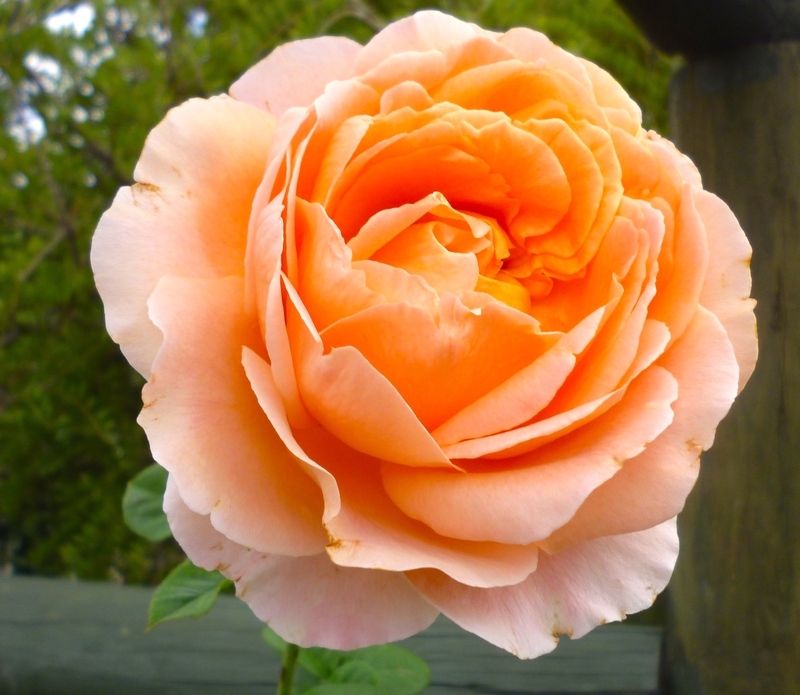 This entry was posted in Outings, Projects, Volunteering on March 9, 2015 by Janice Graham. So interesting. I think it’s wonderful that you and Ken visit and enjoy these events. I just thought I’d mention that when we were first married, I made our gardn radiant with dahlias and saved the tubors in the winter redy for the following years. Good luck with the felt hats.